The local TV channel for the Solent area has been reported as being off-air, months after being told by Ofcom to improve standards. That's Solent, broadcasting to the Southampton and Portsmouth area on Freeview channel 7 has been reported as showing a slide informing viewers of "technical difficulties". It's not clear when the problem began, but is the latest in a series of issues for the channel, which was chastised by Ofcom earlier this year for the poor technical quality of its output. And it has got into trouble for breaching Ofcom rules on several occasions. 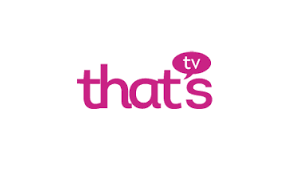 The channel belongs to the That's TV group, and sister channel That's Manchester was also reported as being off-air for a lengthy period of time back in June. Service was restored very shortly after being featured on a516digital. There has been no comment from the channel about being off-air, and the outage has not been widely noticed by viewers in the broadcast area of the channel. Meanwhile, a technical fault caused Sky viewers to lose the local TV channels for Bristol, Cardiff, Leeds and Newcastle. Operator Made Television has apologised for the fault which has now been rectified . Local TV was doomed from the start. There is little public demand for it. I can only assume some politician thought it would be a good idea. The sooner the space is freed up for more HD channels the better. That's Solent had an excellent local daily talk and current affairs programme called Talk Solent. It lasted for eighteen months and was then dumped in favour of a poor talk show made in Manchester. What do Manchester presenters know about the Solent area? So yet another disappointment for those of us who read Thats Solent's application for a licence to Ofcom. How can Ofcom allow it to go on in its present form? Disgraceful.